With the exception of Joseph Butler, perhaps the ablest and most interesting of English orthodox theologians. As one of the very few of this numerous class of writers who seem seriously to be impressed with the difficulty of reconciling orthodox dietetics with higher moral and religious instincts, Paley has for social reformers a title to remembrance, and it is as a moral philosopher that he has a claim upon our attention. 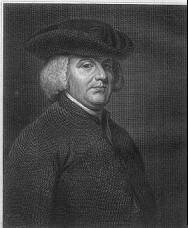 The son of a country curate, Paley began his career as tutor in an academy in Greenwich. he had entered Christ's College, Cambridge as "sizar." Being senior wrangler of the year, he was afterwards elected a Fellow of his college. His lectures on moral philosophy at the University contained the germs of his most useful writing. After the usual previous stages, finally he received the preferment of the Archdeaconry of Carlisle. The failure of the most eminent of the modern apologists of dogmatic Christianity to attain the highest rewards of ecclesiastical ambition, and the refusal of George III. to promote "pigeon" Paley when it was proposed to that reactionary prince to make so skilful a controversialist a bishop - a refusal founded on the famous apology for monarchy in the Moral and Political Philosophy - is well known. The most important, by far, of his writings, is the Elements of Moral and Political Philosophy (1785). He founds moral obligation upon principles of utility. In politics he asserts the grounds of the duties of rulers and ruled to be based upon the same far-reaching consideration, and upon this principle he maintains that as soon as any Government has proved itself corrupt or negligent of the public good, whatever may have been the alleged legitimacy of its original authority, the right of the governed to put an end to it is established. "The final view of all national politics," he affirms, "is [ought to be] to produce the greatest quantity of happiness." The comparative boldness, indeed, of certain of his disquisitions on Government alarmed not a little the political and ecclesiastical dignitaries of the time. His adhesion to the programme of Clarkson and the anti-slavery "fanatics" (as that numerically insignificant band of reformers was styled) did not tend, it may be presumed, to counteract the damaging effects of his political philosophy. In his Natural Theology (1802), his best theological production, he labours to establish the fact of benevolent design from observation of the various phenomena of nature and life. Whatever estimate may be formed of the success of this undertaking, there can be no question of the ability and eloquence of the accomplished pleader; and the book proves him, at least, to have acquired a surprising amount of physiological and anatomical knowledge. It is justly described by Sir J. Mackintosh as "the wonderful work of a man who, after sixty, had studied anatomy in order to write it." Of the Evidence (1790-94) - the most popularly known of his writings - the considerable literary merit is in somewhat striking contrast, in regard to clearness and simplicity of style, with the ordinary productions of the evidential school. We are concerned now with the Moral and Political Philosophy. It has already been stated that it is based upon the principles of utilitarianism. As for personal moral conduct, he justly considers it to be vastly influenced by early custom; or, as he expresses it, the art of life consists in the right "setting of our habits." "A right to the flesh of animals. This is a very different claim from the former ['a right to the fruits or vegetable produce of the earth']. Some excuse seems necessary for the pain and loss which we occasion [other] animals by restraining them of their liberty, mutilating their bodies, and, at last putting an end to their lives, for our pleasure or convenience. "The reasons alleged in vindication of this practice are the following - that the several species of animals being created. to prey one upon another (1), affords a kind of analogy to prove that the human species were intended to feed upon them; that, if let alone, they would overrun the earth and exclude mankind from the occupation of it; (2) that they are requited for what they suffer at our hands, by our care and protection. "Upon which reasons I would observe that the analogy contended for is extremely lame; since [the carnivorous] animals have no power to support life by any other means, and since we have, for the whole human species might subsist entirely upon fruit, pulse, herbs, and roots, as many tribes of Hindus (3) actually do. The two other reasons, may be valid reasons, as far as they go; for, no doubt, if man had been supported entirely by vegetable food, a great part of those animals which die to furnish our tables, would never have lived (4); but they by no means justify our right over the lives of other animals to the extent in which we exercise it. What danger is there, e.g., of fish interfering with us, in the occupation of their element? or what do we contribute to their support or preservation? "The natives of Hindustan being confined, by the laws of their religion. to the use of vegetable food, and requiring little except rice, which the country produces in plentiful crops; and food, in warm climates, composing the only want of life; these countries are populous, under all the injuries of a despotic, and the agitations of an unsettled Government. If any revolution, or what would be called perhaps refinement of manners (!) , should generate in these people a taste for the flesh of animals, similar to what prevails amongst the Arabian hordes - should introduce flocks and herds into grounds which are now covered with com - should teach them to account a certain portion of this species of food amongst the necessaries of life - the population from this single change, would suffer in a few years a great diminution, and this diminution would follow in spite of every effort of the laws, or even of any improvement that might take place in their civil condition. In Ireland the simplicity of living alone maintains a considerable degree of population under great defects of police, industry, and commerce. . . . Next to the mode of living, we are to consider 'the quantity of provision suited to that mode, which is either raised in the country, or imported in to it,' for this is the order in which we assigned the causes of population, and undertook to treat of them. Now, if we measure the quantity of provision by the number of human bodies it will support in due health and vigour, this quantity, the extent and quality of the soil from which it is raised being given, will depend greatly upon the kind. For instance, a piece of ground capable of supplying animal food sufficient for the subsistence of ten persons, would sustain, at least, the double of that number with grain, roots, and milk. "The first resource of savage life is in the flesh of wild animals. Hence the numbers amongst savage nations, compared with the tract of country which they occupy, are universally small, because this species of provision is, of all others, supplied in the slenderest proportion. The next step was the invention of pasturage, or the rearing of flocks and herds of tame animals. This alteration added to the stock of provision much. But the last and principal improvement was to follow, viz., tillage, or the artificial production of corn, esculent plants, and roots. This discovery, whilst it changed the quality of human food, augmented the quantity in a vast proportion. "So far as the state of population is governed and limited by the quantity of provision, perhaps there is no single cause that affects it so powerfully, as the kind and quality of food which chance or usage hath introduced into a country. In England, notwithstanding the produce of the soil has been, of late, considerably increased, by the enclosure of wastes, and the adoption, in many places, of a more successful husbandry, yet we do not observe a corresponding addition to the number of inhabitants, the reason of which appears to me to be the more general consumption of animal food amongst us. Many ranks of people whose ordinary diet was, in the last century, prepared almost entirely from milk, roots, and vegetables, now require every day a considerable portion of the flesh of animals. Hence a great part of the richest lands of the country are converted to pasturage. Much also of the bread corn, which went directly to the nourishment of human bodies, now only contributes to it by fattening the flesh of sheep and oxen. The mass and volume of provisions are hereby diminished, and what is gained in the amelioration of the soil, is lost in the quality of the produce. Elsewhere Paley asserts that "luxury in dress or furniture is universally preferable to luxury in eating, because the articles which constitute the one are more the production of human art and industry than those which supply the other." In reply to this sort of apology it is obvious to ask - "Have the frugivorous races, who form no inconsiderable proportion of the mammals, no claim to be considered?" To this very popular fallacy it is necessary only to object that Nature may very well be supposed able to maintain the proper balance for the most part. For the rest, man's proper duty is to harmonise and regulate the various conditions of life, as far as in him lies, not indeed by satisfying his selfish propensities, but by assuming the part of a benevolent and beneficent superior. To this we may add, with some force, that men appeared on the scene within a comparatively very recent geological period, so that the Earth fared, it seems, very well without him for countless ages. And, in point of fact, two-thirds at least of the whole human population of our globe. This popular excuse is perhaps the feeblest and most disingenuous of all the defences usually made for flesh-eating. Can the mere gift of life compensate for all the horrible and frightful sufferings inflicted, in various ways, upon their victims by the multiform selfishness and barbarity of man? To what unknown, as well as known, tortures are not every day the victims of the slaughter-house subjected? From their birth to their death, the vast majority - it is too patent a fact - pass an existence in which freedom from suffering of one kind or other - whether from insufficient food or confined dwellings on the one hand, or from the positive sufferings endured in transitu to the slaughter-house by ship or rail, or by the brutal savagery of cattle-drivers, &c. - is the exception rather than the rule. Moral and Political Philosophy, i, 2. It is deeply to be deplored that Dr. Paley is in a very small minority amongst christian theologians, of candour, honesty, and feeling sufficient to induce them to dispute at all so orthodox a thesis as the right to slaughter for food. That he is compelled by the force of truth and honesty, to abandon the popular pretexts and subterfuges, and to seek refuge in the supposed authority of the book of Genesis, is significant enough. Of course, to all reasonable minds, such a course is tantamount to giving up the defence of kreophagy altogether; and, if it were not for theological necessity, it would be sufficiently surprising that Paley's intelligence or candour did not discover that if flesh-eating is to be defended on biblical grounds so, by parity of reasoning, are also to be defended - slavery, polygamy, wars of the most cruel kind, &c.
The Principles of Moral and Political Philosophy, xii., II. See, amongst others, the philosophical reflections of Mr. Greg in his Enigmas of Life, Appendix. But the subject has been most fully and satisfactorily dealt with by Professor Newman in his various Addresses. Paley's Moral and Political Philosophy (link to archive.org) this edition 1835.